For decades, the United States federal government has purchased, utilized, and produced a wide range of data tied to specific locations. This geospatial data plays a crucial role in ensuring national security, growing the economy, planning infrastructure investments, and responding to natural disasters. Many believe that the US government possesses the world’s largest database of geospatial data. Accordingly, Congress has been developing strategies to best manage this resource. Though geospatial data plays a meaningful role in nearly all government functions, federal efforts tied to collecting this data have historically lacked coordination and often been duplicative, resulting in billions of dollars in wasted resources, according to the US Government Accountability Office. In addition, poor coordination degrades the most effective utilization of federal geospatial data and assets, which has diminished the quality of resources available to agencies. For example, better integration of different datasets can improve disaster relief efforts by allowing firefighters to more quickly determine which roads will succumb to wildfire. For these reasons, I joined with Senator Mark Warner of Virginia in 2015 to introduce the Geospatial Data Act (GDA) with the goal of improving collaboration across agencies, reducing waste, and providing oversight of the federal government’s multibillion-dollar investments in geospatial data. Over the last four years, in serving as sponsor of the GDA, I have had the opportunity to engage with individuals, state and local governments, companies, and trade organizations representing the full range of the geography and geospatial community. As with any significant bill introduced in Congress, these stakeholders have sometimes disagreed on important aspects of the legislation. But by working diligently and continuing to engage with geospatial data advocates from across the spectrum of users, we were able to forge a compromise supported by all the key players. That resultant consensus was reflected by the combined cosponsorship of 15 Republican, Democrat, and Independent senators. The Geospatial Data Act expands the roles of the Federal Geographic Data Committee (FGDC) and the National Geospatial Advisory Committee (NGAC). In today’s era of Washington gridlock, legislation that receives broad support is an increasingly fleeting achievement, and I am pleased that Congress was able to enact the GDA as a component of the Federal Aviation Administration (FAA) reauthorization bill. Securing passage of the law required the sweat equity of members of Congress, staffers from dozens of Senate and House offices, administrative staff from over 30 executive departments and agencies, advocates from over 50 stakeholder groups and industry partners, Congressional research staff and legislative attorneys, and more. Backed by the authority of Congress, the bill expands the roles of the Federal Geographic Data Committee (FGDC) and the National Geospatial Advisory Committee (NGAC), two key panels that allow federal agencies, the private sector, nongovernmental organizations, state and local governments, tribal representatives, licensed professionals, and others to deliberate significant issues related to federal management of geospatial data assets. These committees and their cochairs at the Department of the Interior and the Office of Management and Budget will play a vital role as the GDA is implemented over the next five years and beyond. The legislation also formally clarifies the roles of the National Spatial Data Infrastructure (NSDI) and the National Geospatial Data Asset (NGDA) and sets geospatial data standards for covered agencies. Perhaps most importantly, this will foster greater public and private sector access to federal geospatial data. 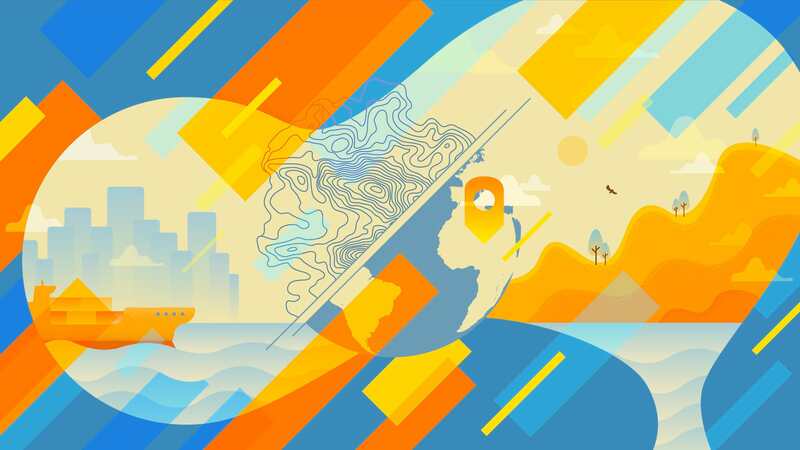 By ensuring that public geospatial data is properly accounted for and managed, state and local governments will be able to allocate their scarce resources more effectively. Moving forward, federal procurement of geospatial data and services is a critical issue that will be discussed extensively with the stakeholder community and my colleagues in Congress. Based on my experience, it is abundantly clear to me that federal agencies are best served by working with the entire, vibrant geospatial community as they undertake geospatial procurements. The geospatial technologies field is one of the fastest-growing industries in the United States, and it would do a disservice to American taxpayers if the government failed to partner with the private sector entities, innovators, data users, organizations, scientists, researchers, licensed professionals, and many others who make the community so strong. In working on the GDA, it has always been clear to me that the full range of geospatial data users and advocates understood the importance of enacting robust legislation. The final text is evidence of my longstanding commitment to honor the views of all stakeholders and to work with congressional colleagues on a bipartisan basis. As public law, it establishes a strong foundation for federal geospatial policy for years to come, in a manner that delivers meaningful wins for all geospatial stakeholders. I am confident that the GDA will reduce waste; improve federal management, coordination, and utilization of geospatial data; strengthen infrastructure planning; and improve emergency response capabilities. As we turn toward implementation, the FGDC, NGAC, federal agencies, and my colleagues in Congress will need the help of Esri, its users, and the entire geospatial community to ensure that the government is best served by its significant investments in geospatial data. Thank you for your help as the bill was negotiated on Capitol Hill and for the leadership I know you will provide in the months and years ahead. 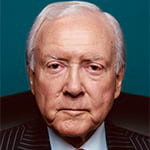 Senator Orrin Hatch, who retired on January 3, 2019, is one of the longest-serving senators in US history, having represented the state of Utah since 1977. He was president pro tempore and served as chairman of the Senate Finance Committee; the Senate Judiciary Committee; and the Senate Health, Education, Labor, and Pensions Committee.